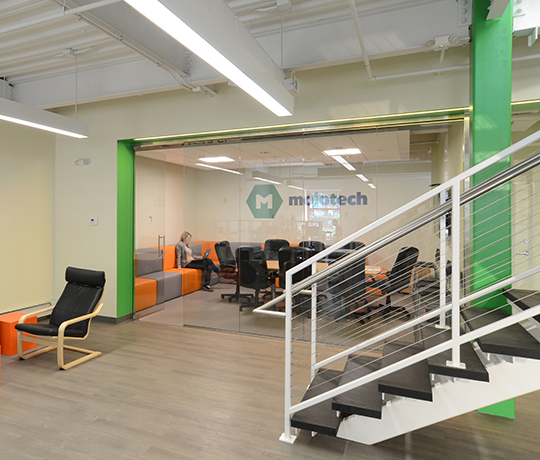 KITE helped MojoTech, a growing mobile application developer, expand vertically as they added new employees. 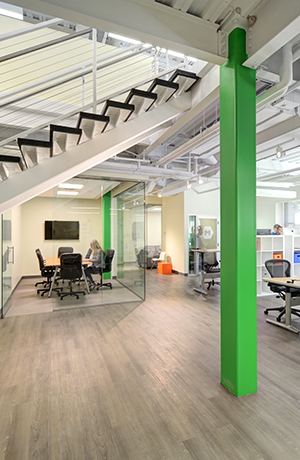 With existing offices in an open floor plan and minimal partitions on the second floor, MojoTech wanted to keep a sense of light and connection as they doubled their space on the ground floor. A key part to making the connection is a new custom stair that KITE detailed in collaboration with the design talent at MojoTech. The treads make innovative use of 2″ solid ballistic rubber to reduce sound, provide a durable surface, and create a dramatic contrast look with cantilevered black treads against the white metal structure. 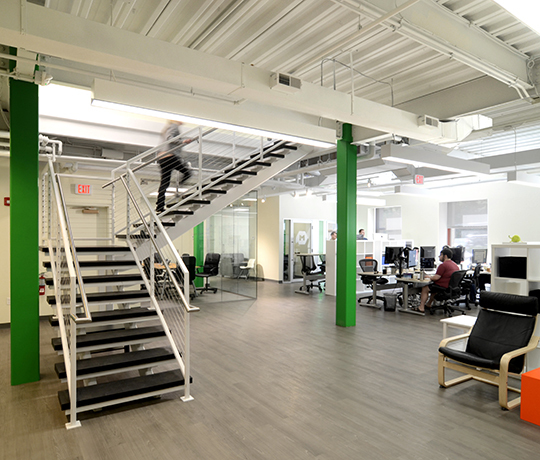 Desks are arranged in the open floor plan with standing desk. 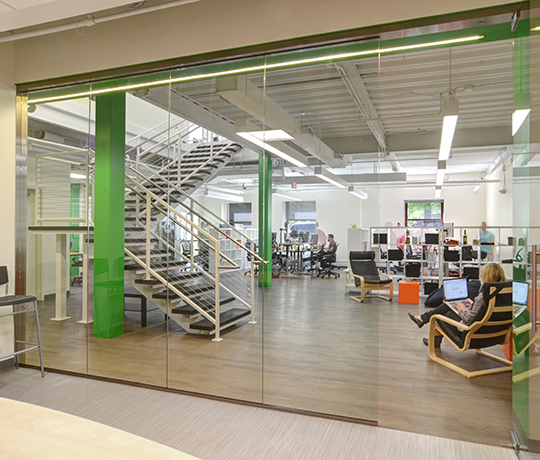 To allow a variety of seating areas and collaboration zone, KITE identified opportunities for work/lounge furniture as well as glass-enclosed conference rooms and “privacy pods” where people can have private phone conversations. The offices make ample use of south facing daylight and views onto the adjacent park. 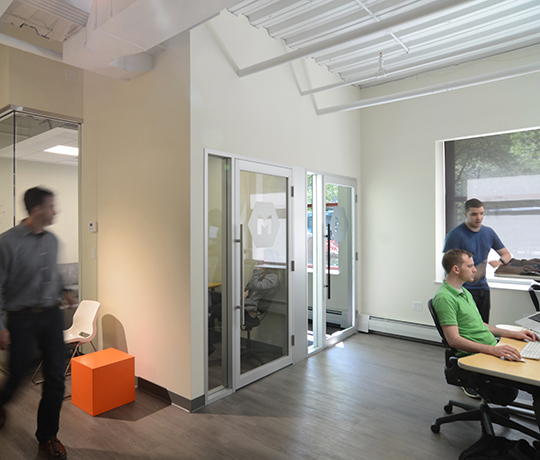 Marsella Development was instrumental in providing a progressive vision for contemporary office space that met the needs of this growing Rhode Island based tech company.